Calabrio study shows talking to a real person can be the key to forming better bonds with customers. Customers are able to create emotional bonds with businesses more easily if they can talk to a person instead of a machine, according to new research. 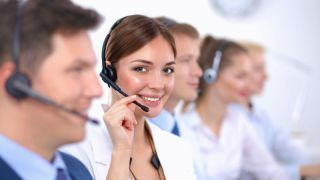 A study by Calabrio polling 3,000 consumers in the US and the UK found that almost three quarters (74 per cent) said they are more loyal to a company if they can talk to a person when they need assistance, instead of a machine. Being able to emotionally connect with the business and create a relationship based on trust was ranked as the second most important factor to making a purchase and building loyalty, behind the actual quality of the products themselves. Even though new communications channels like chatbots are playing an increasingly important role in customer service, 58 per cent still see the phone and a real, living representative as the best way to get most efficient service. “Technology innovation will always play a part in business evolution,” said Kris McKenzie, Calabrio's senior vice president and general manager for EMEA. “However, to successfully evolve the customer experience in the digital world, companies must understand customers are driven by human nature and to gain loyalty they should listen and meet customers where they are engaging. To achieve this and fully understand customer preferences, companies must tap into technology to capture and analyse the growing number of customer interactions across all service channels."